The holidays are officially here and I'm looking at a small guest list for Thanksgiving this year. It makes me sad, so I think we're going to try and look around to find others in the same boat as us and maybe invite some new friends over for the Thanksgiving dinner. I want to send them home with full stomachs, happy memories, and a sweet treat to remind them of our new friendship. 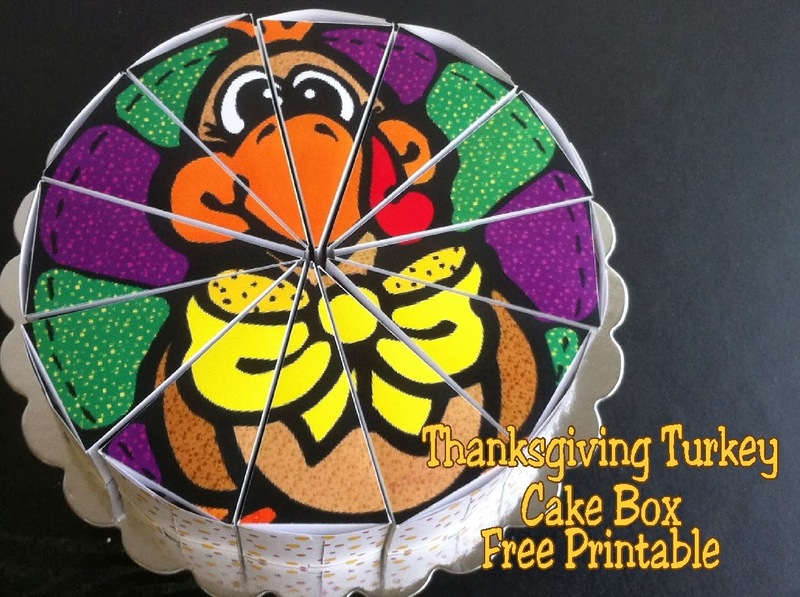 So I designed up a new cake box printable with a Thanksgiving theme. As I was working on creating this to show you, I realized that I had never shared one of my printable cakes with you. 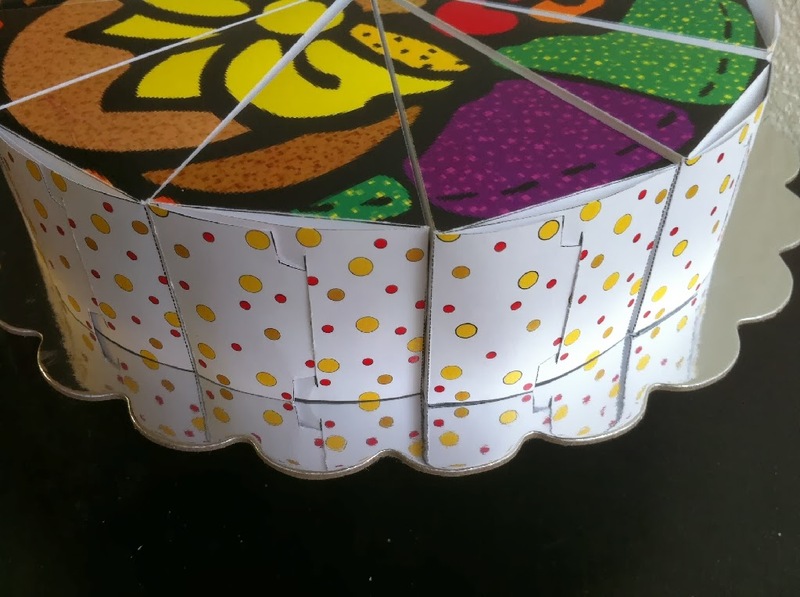 I have several of them listed for sale on the website (like the Ladybug cake and the Soccer ball cake) but I try to share at least one of each type of project for free with you. That way you if you're interested in one, you can check out the free version to see if you can make it work for you before you purchase. So I'm sharing my Thanksgiving Turkey Cake Box Printable. It turned out pretty cute if you ask me. You are asking right? Each cake piece measures about 4 1/2 inches by 2 1/2 inches and prints out on one piece of card stock. 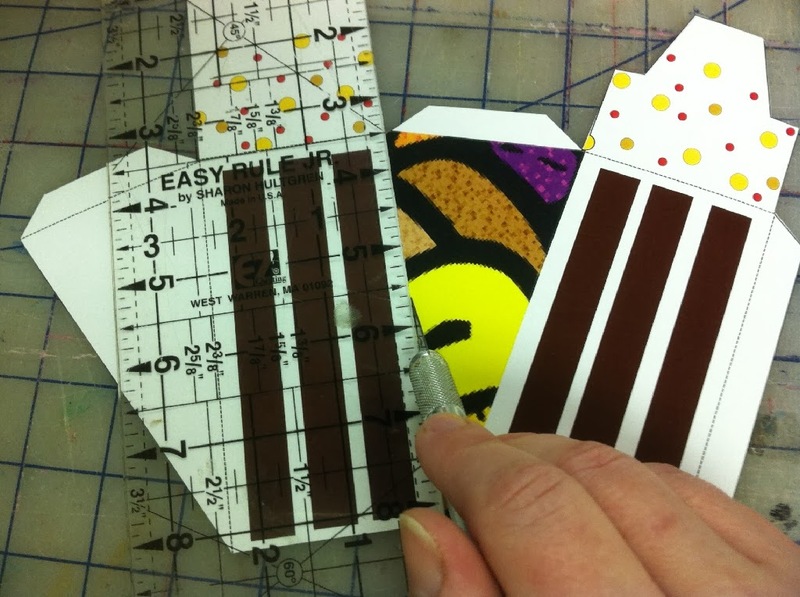 Once you have it printed, you can cut around the edges and score along the inside lines. Then it's a simple matter of gluing the box together and filling with fun candy. I filled each of mine with about 1/4 pound of Sixlets candy. The candy has a Thanksgiving color scheme with the browns, oranges, yellows, reds, and greens so it goes perfect with the theme. The printable cake has a brown cake design to look like chocolate cake. The back edge has three different sized polka dots in gold, tan, and red. I finished my cake by putting a small piece of double sided tape on the bottom of each cake slice to keep it from moving around if someone bumps it or it takes a hit in transition. 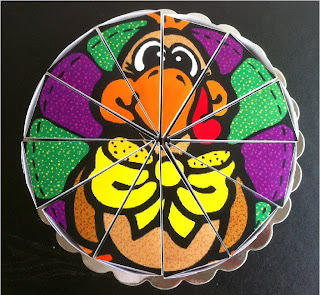 Then it fit perfectly on a 12 inch circle cake board from the Cake Decorating Aisle at Walmart. If you would like to make one for you, you can find the free printable in our store HERE. The cake printable can be downloaded as a zip file with 12 jpg picture files directly upon checkout. To access it, you MUST download, save, and unzip the file, otherwise it's only a view only file. 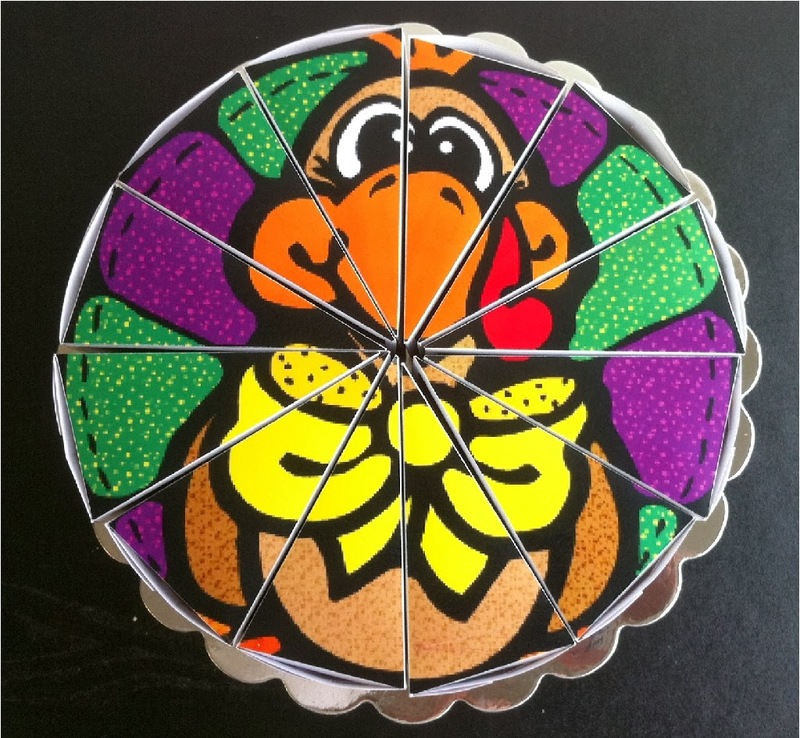 Are you planning to make any kind of party favor for your Thanksgiving guests? If so, what are you making? If not, do you feel like it's just too much? I'm curious what others think! Let me know in the comments below. Oh what a fun creation! this is such the perfect party favor. i am so pinning this now. thanks for linking up to the all things pretty party!